This Home Exchange Offer from Sweden was Two Homes in One! Croquet anyone? 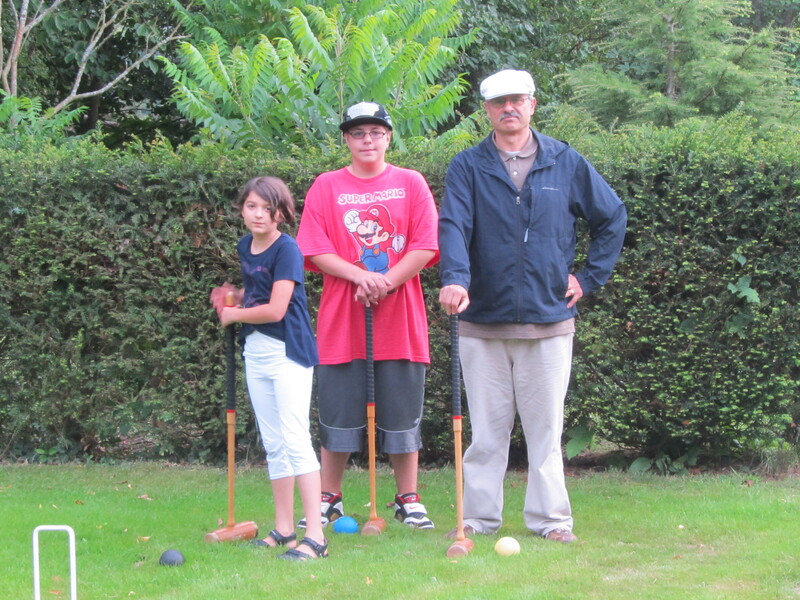 Who would of thought, we’d have our own full size croquet court in our home exchange in England in 2011. Oh, also a private pool and tennis court! Pretty funny picture by the way! It’s true, I received a home exchange offer for an very nice apartment only an 8 minutes train ride or 30 minute bike ride into the old town of Stockholm City; and if that isn’t interesting enough, the family also offers the use of their summer cabin near the sea, only a 30 minute drive from their primary apartment. The summer cabin also comes with a small motorboat for fishing! They also offer a car as part of the exchange. You can see the details of this listing, right here – in case you are interested. The family spent three weeks on a home exchange in California last year and fell in love with home exchange-which does not surprise me in the slightest! Now they want to exchange in the Northeast of the USA next summer. My family had to turn down this lovely offer, simply because we will have too many people and require larger accommodations, so it’s still up for grabs. This entry was posted in Uncategorized and tagged california, england, home exchange, private pool, private tennis court, stockholm, sweden, USA. Bookmark the permalink.